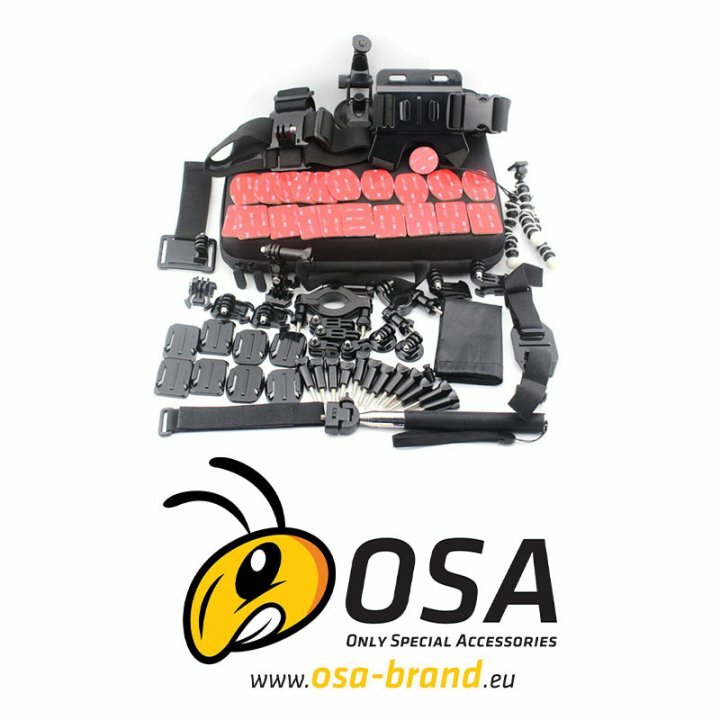 Outdoor camera accessories Case - OSA PACK Extra holder contains the most used kits for your action cameras. 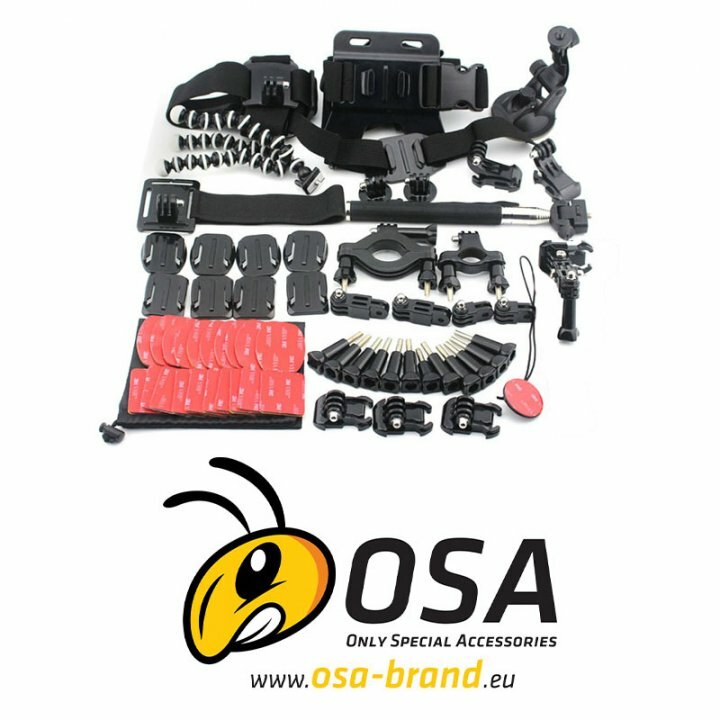 Accessories are suitable for a wide range of sports cameras. 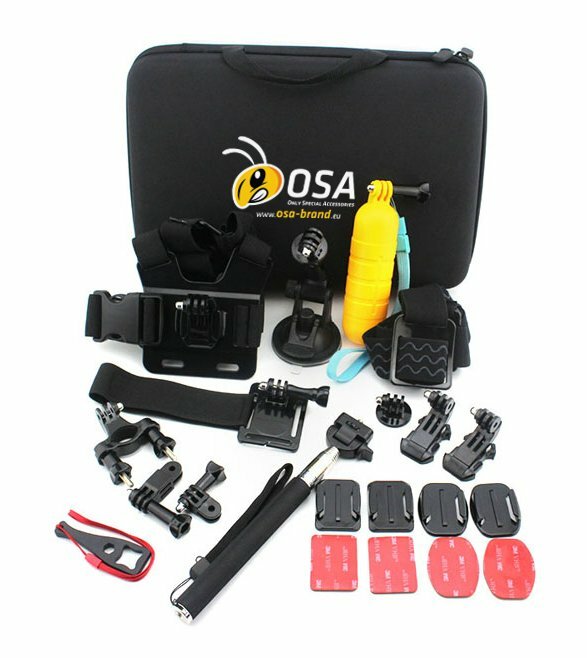 Individual accessory parts are arranged in a robust carrying case to protect against damage and it may serve to transfer your sports camera. 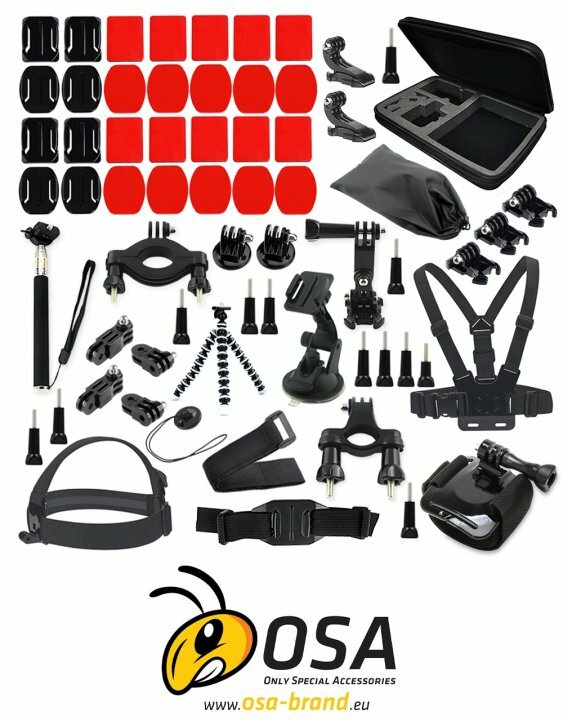 Case and accessories are compatible with GoPro cameras, Xiaomi, SJCAM, Muvi, AEE Magicam, Niceboy, Lamax and many others. 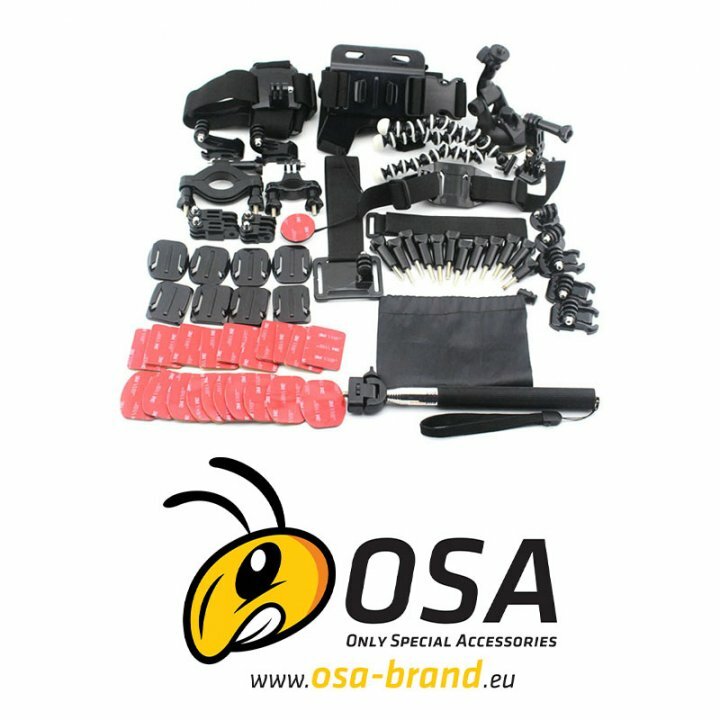 Ideal as Gopro accessories, SJcam accessories, Xiaomi accessories, Lamax, Magicam, Niceboy, Muvi and others. 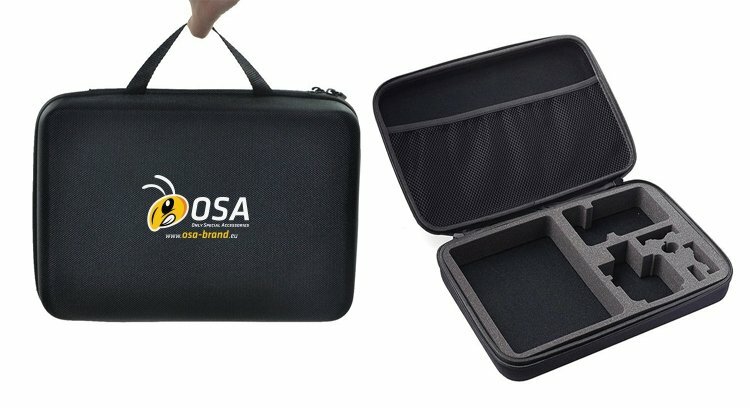 Carrying case of brand OSA is used for secure carry and storage of your sports cameras and accessories. 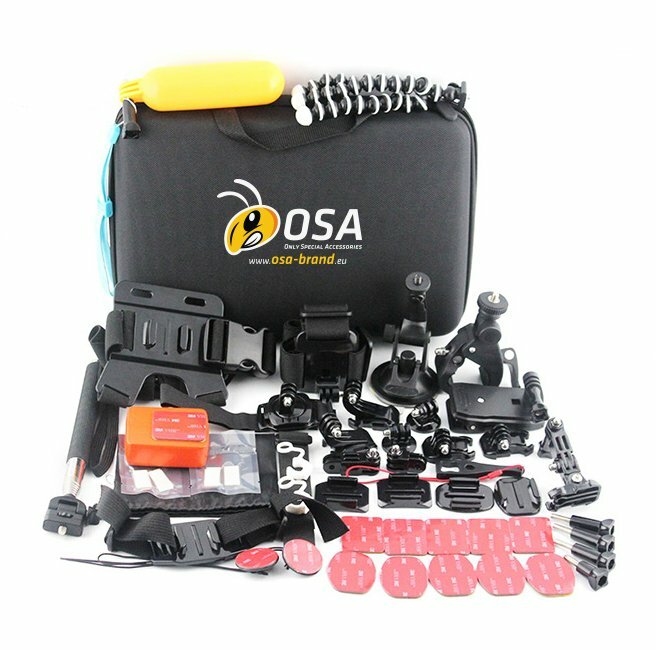 Thanks to the clever arrangement of the individual compartments in a box, you can quickly and easily find accessories for cameras that you need. 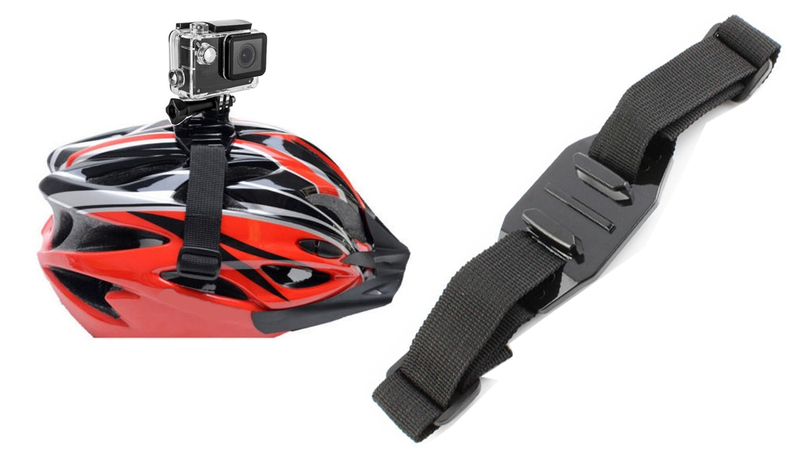 It is suitable for fitting of sports camera on your head if you need to have your hands free and shoot real what you see. The strap is made of an elastic material and has a clip, with which you can adjust the straps to measure. The camera is attached to the front of the adapter using the clamping screw. 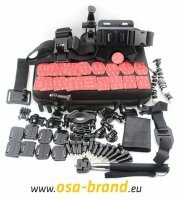 With this system of straps you can attach your sports camera on the chest. 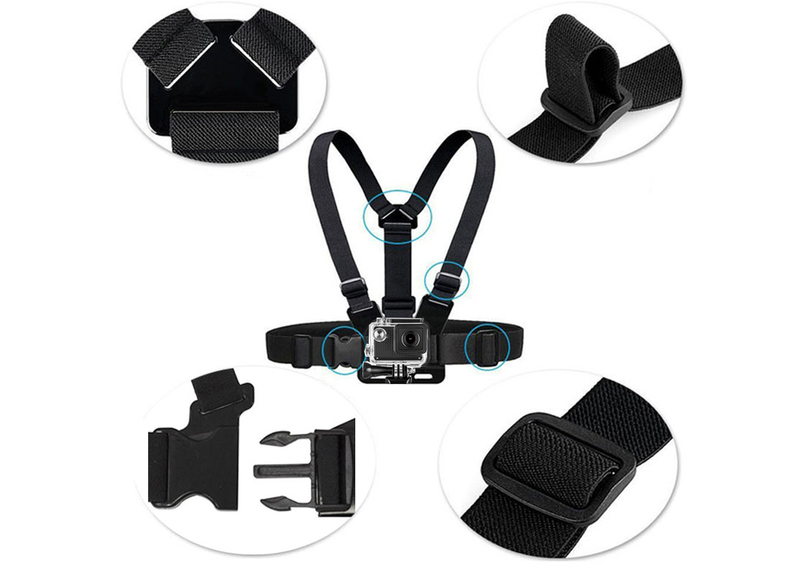 Straps are made ​​of elastic material and using multiple clips you can set them to measure. Mount is installed on the chest very quickly thanks to snap buckle. 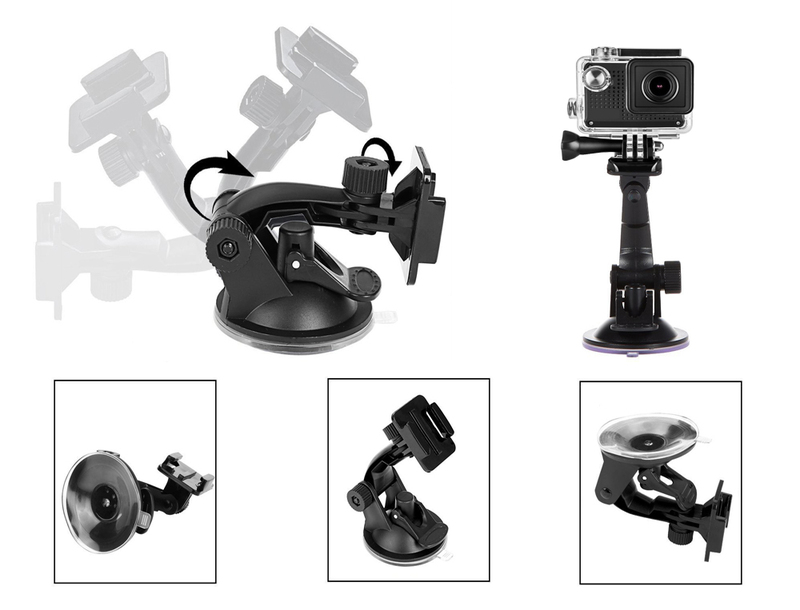 The mount has a rails, where can be attached the necessary adapter and then sports camera. The holder has suction cup that can be attached to a variety of smooth surfaces such as on the windshield, the car door, or on various other surfaces. Holder has two movable joints that can be adjusted to the required position horizontally and vertically. To the upper part of the extension piece you can connect the sports camera. This mount is adapted to be installed to the various rods and frames. For example to the frame or handlebars of bicycle. The bracket is shaped to be clipped to the wider bars and frames, such as motorcycles and scooters. 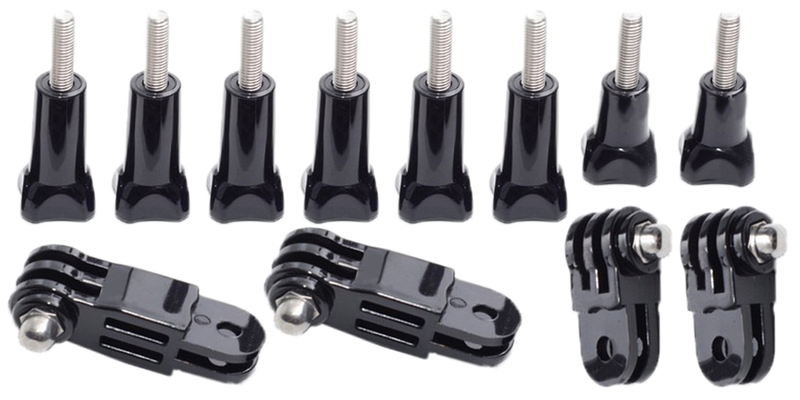 Set of clips serving as piece in between, for example for mounting the camera on a chest, or on head strap for attaching the camera on head. 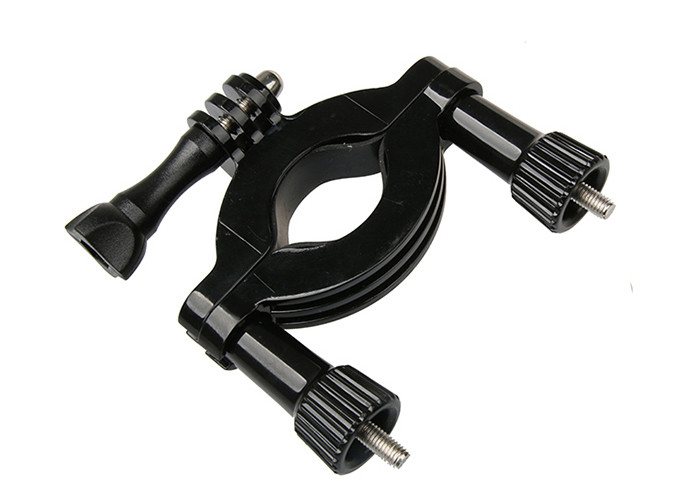 Adapter with ¼ tripod thread serving for attaching the photo camera or cameras. 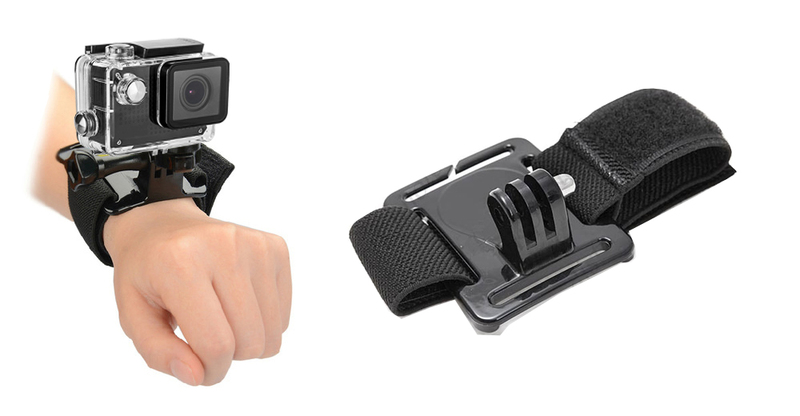 It is used for attaching the sport camera on wrist. 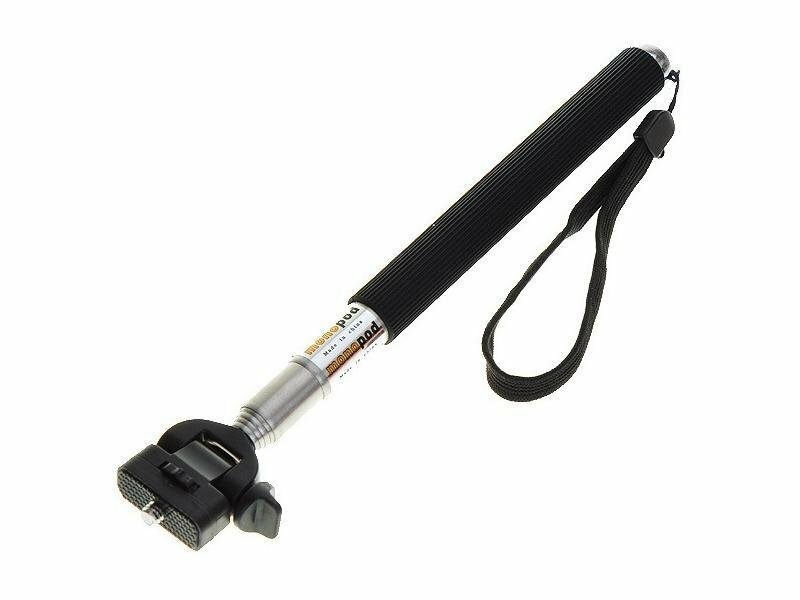 Retractable monopod with a maximum length of up to 107,5 cm. On top is ending with a movable joint and ¼ tripod thread. Handle is rubberized for better grip and equipped with hand strap. 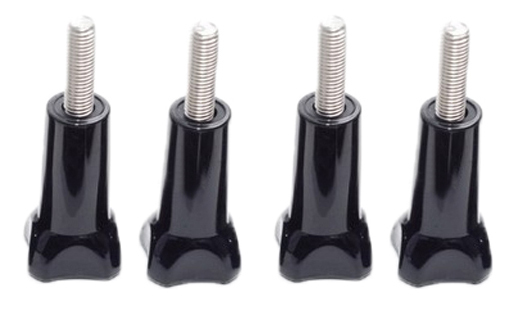 On the bottom of the monopod is ¼ threaded hole, through which can be attached to a tripod. Mounts have a rails, into where can be attached the necessary extension piece for fitting of sports camera. 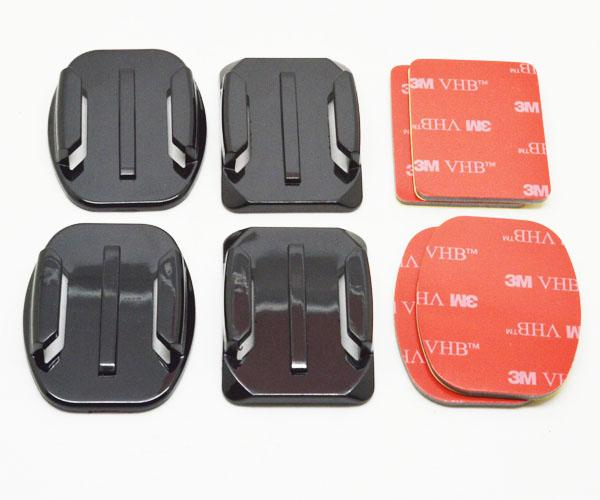 Each extension piece has also adhesive pad, with which you can attach holder to various surfaces, for example on bike or motorbike​ helmet. Set of additional joints are used to connect the camera with different holders and to set the camera to the desired position. Long screws are used to connect the various joints of the camera. Set of joints with clip is used to attach the sport camera to various brackets. Two flexible joints allow for vertical and horizontal movement of the camera. Mount is used to attach the camera to the helmet with holes. Through the holes is passed the eyelet and attached with snap buckle. 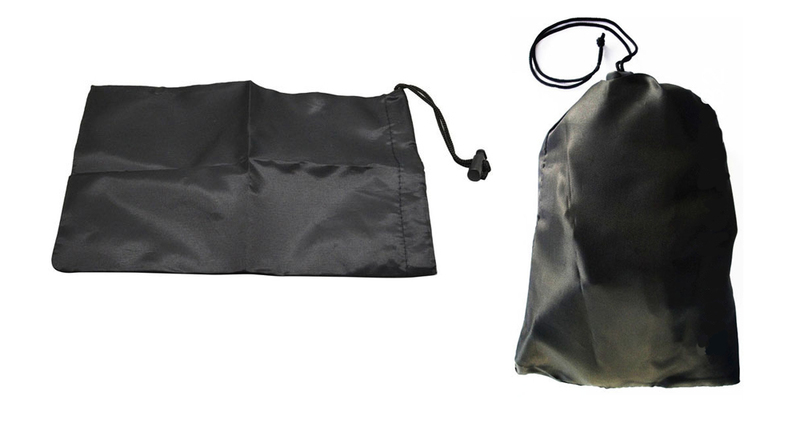 Protective bag used for storing sports camera, or individual items of equipment of case. 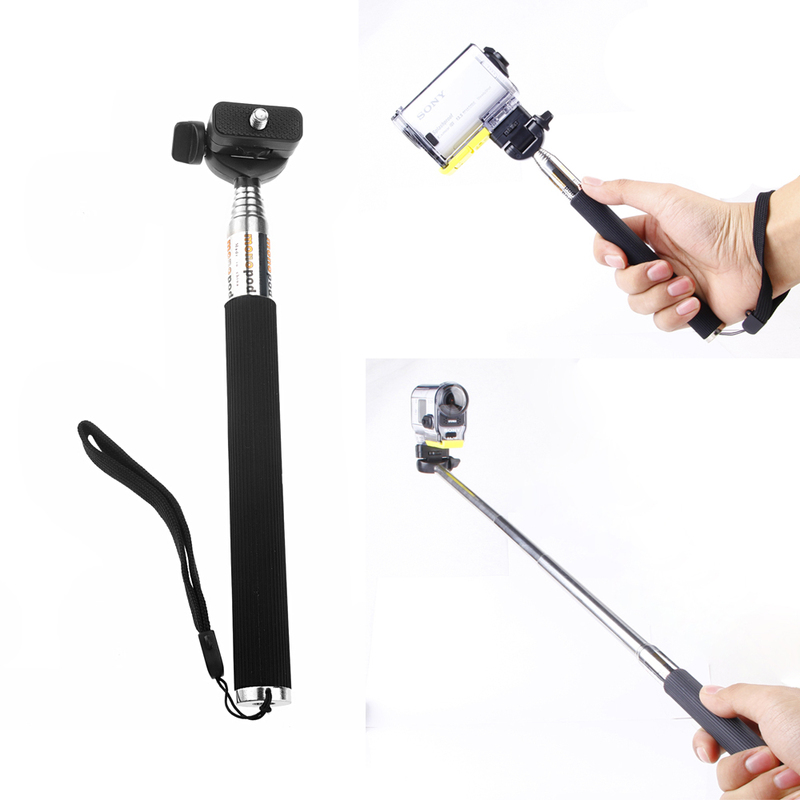 Tripod is a mini tripod with adjustable feet, which can be of variously shaped. 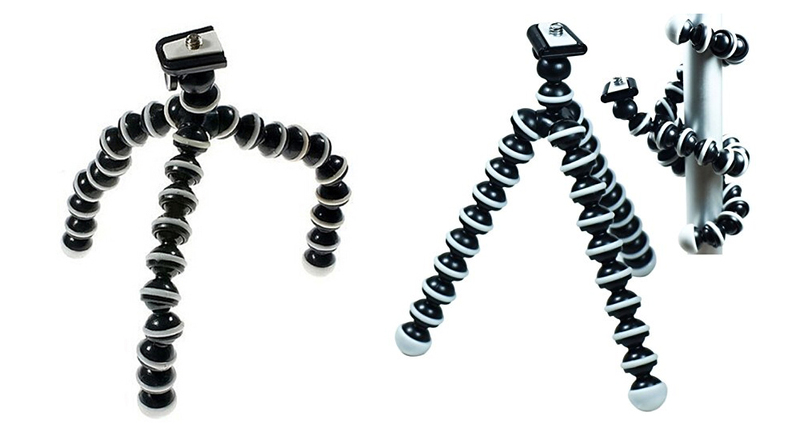 Mini Tripod is ideal if you need to attach sports camera for example on a tree, or to hook it to different places. It also allows you to tilt the camera to different angles. Tripod is topped with ¼ tripod socket. Clasp can be sticked to various surfaces of the holder. The clasp is attached to a eyelet where you can tie your sports camera. In case that camera will suddenly release, it is captured on the safety eyelet and it will not cause fall or loss.